LEARN - History of Unions — Political Hatchlings. The origin of unions date back to the industrial revolution in 18th century Europe where large numbers of people began moving into urban factory or machinery jobs. Workers often experienced poor working conditions, little pay and long hours of work. Through forming unions, people were able to pressure the government into put regulations in place regarding health and safety, minimum wage and child labour. New Zealand’s first unions were formed by English and Scottish unionists who were part of unions in Britain. The first official organisation formed was the Maritime Council in 1889 by maritime workers and coal miners. Workers at ports around the country took industrial action (strike!) in 1890 but failed to achieve their demands. 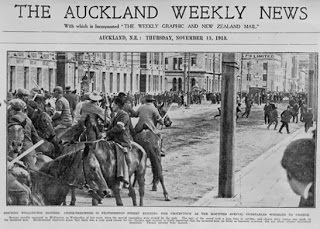 In 1913 New Zealand was one of the most unionised countries. The strikes of 1913 were some of the most disruptive and violent industrial confrontations. 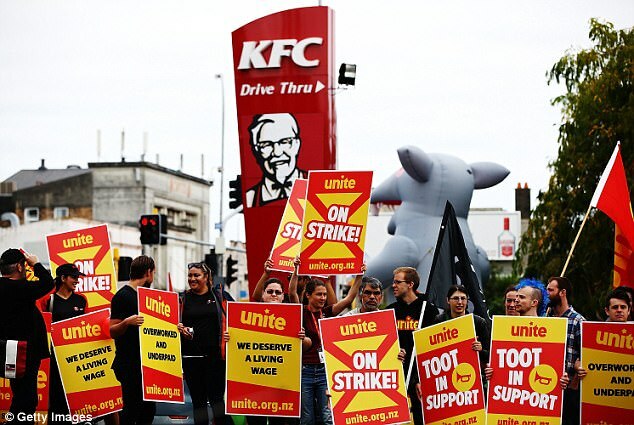 Around 15,000 workers went on strike, which is a huge proportion of a country with a population of only 1 million people! During the depression in the 1930s, union membership fell as many people lost their jobs. There were almost no strikes. To combat this, the 1936 Labour government made union membership compulsory. Strikes and lockouts were at their peak in the 1960s and 1970s and the public became annoyed at the constant disruption. In 1985 nearly half of all workers were in a union, but generally, strikes and lockouts were on the decline. The establishment of the Employment Contracts Act (1991) allowed workers to negotiate their employment contract or select their own agent to negotiate for them. It also ended compulsory unionisation and saw a decrease in the strength of unions, by 1996 the number of workers in unions had halved. Unionisation varies by industry - less than 9% of private sector workers are in a union whereas over 60% of teachers are in a union. It also varies by age - workers over 30 are twice as likely to be covered by a collective agreement as younger workers. UMR's 2016 Mood of the Nation report, unions are the second least trusted institution - with only 30 per cent of those surveyed having confidence. This is more than the media (26%), but less than big business (31%), churches (33%), and banks (44%). In addition, an increasing proportion of the public believes that unions are actually too strong. According to 2011 New Zealand Election Study survey data, 32% agreed with the statement that "Unions have too much power". This is up from 18 percent back in 1999. With increasing automation, there has been a decline of employment overall in industries where unions have traditionally been strong, for example in manufacturing and mining. No doubt, the perpetual increase in technology and automation will continue to have an effect on workers rights and hence the role of unions.